What were your favourite outfits from the 80s? 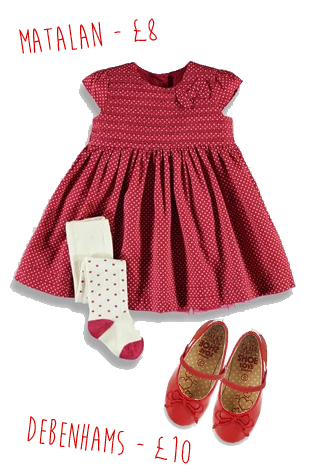 Would you dress your little one in the same style? I am linking this up with #MyCapturedMoment – as it’s a lovely moment my mum captured. Why don’t you share your captured moment too? Really, it wasn’t just me then 🙂 I only found out my mum made the dress after she read the post. I was amazed, I couldn’t do that! Wow, i guess making dresses was the thing to do back in the day. How talented were our mums! Cute photo. I love that you’ve found the modern day equivalent too. This is a genius photo! You look so happy and carefree in your puffy red dress. Can’t believe your mum made it, that’s so cool. I had this little white with red dots summer dress with a matching shot-sleeve, cropped jacket that I totally loved. I think I almost lived in that outfit one summer. Aw that’s so cool your nanna made your dresses. So much talent out there!